What are iBeacons and What are Their Uses? The iBeacon has become an increasingly popular topic of conversation in the marketing world recently and it’s clear to see why – these devices have a lot of potential. iBeacons is a brand name that has been given to the Bluetooth based devices that have been designed and created by by Apple, though much like many brand names we can expect the name to stick. In essence, iBeacons are low energy, Bluetooth based devices that works with iOS7 and a number of Android devices with Android 4.0 or above. They are also known as Bluetooth Low Energy (BLE) or Bluetooth 4.0 in other forms, and it has been claimed that the iBeacon is the biggest leap for retail since the arrival of the smartphone. The iBeacon is essentially a very accurate GPS system for indoor locations, and because it works up to a range of 50m and has a high level of accuracy, it has some seriously significant potential. The iBeacon technology is also very affordable and one iBeacon only costs around the $25 mark at the moment. Needless to say, like all technology, it’s set to fall further in price. The technology is capable of working at far greater ranges than NFC and is also a lot more accurate. It also doesn’t run its battery down to nearly the same degree as Wi-Fi does. 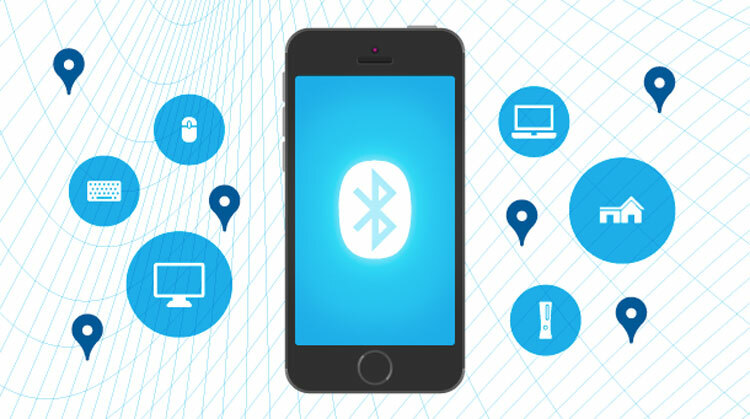 In addition, it doesn’t require you to actually connect to another Bluetooth device, meaning notifications can be sent to your phone once it is within the proximity of an iBeacon. For example, this could mean you might receive a voucher or notification of discounts when you walk into a shop, or as Apple has trialled, a welcome message. Of course, the biggest fear people may have in this instance is being spammed. However, it’s expected that this will be prevented due to the fact corresponding apps will be needed to trigger notifications. This would allow a person the chance to hear only from the brands that they want to and not end up spammed to death with push notifications every time they leave the house. The technology could also be paired with previous information a store has recorded about their customers, and in doing so allow personalised offers. For example, if someone has purchased the last three incarnations of the Apple iPhone, then the Apple Store could alert them to the arrival of the new version the next time they walk into the store, or offer vouchers or discounts to that end. Apple has already used the new technology in a number of its stores, allowing it to provide wireless payment via phones in-store. This of course means there is no need to queue or use a card when you want to purchase a product. The company has also used the technology to notify people waiting on Genius Bar appointments when theirs is ready. These are of course just some of the most basic uses for iBeacons, but it gives you an idea of how the technology could be used. Even though the technology is relatively new, there have been some exciting tests and creative implementations of it within retail. From using it as a way to distribute information at conferences, to informing cabin staff of drops in temperature and the need to provide passengers with blankets, iBeacons have shown a range of versatile uses in business and beyond. There are challenges too. Apple is pushing iBeacons as an alternative technology to NFC, so gaining the support for a substitute technology may be tough, as businesses have already invested in one technology. iBeacons may be a vastly superior technology to NFC, however, that doesn’t always make for dominance as anyone who follows technology will know. That said, it’s hard to discount Apple. The only test will be time, but iBeacons could provide significant benefits over the current alternatives, and could truly change the tech and retail landscape if they begin to gather momentum.